The country's largest healthcare groups drawing up expansion plans for overseas markets and considering setting up hospitals in Indonesia, Rwanda and Sri Lanka soon, chairman Prathap Reddy said. Among the main hurdles in setting up hospitals in developing economies, such as Indonesia, is the shortage of doctors, the Chennai -headquartered group said. "As far as Indonesia is concerned, once the government-to-government talks finish, hopefully we may be going there for starting our hospital," Reddy told reporters here. The group already runs hospitals in Dhaka and Mauritius and a super speciality hospital will be commencing operations in Tanzania in four months. Apollo Hospitals will launch 10 hospitals with a capacity of 2,500 beds by the end of this fiscal with an outlay of Rs 1,500 crore, he said. The group now has over 50 hospitals with more than 8,500 beds. 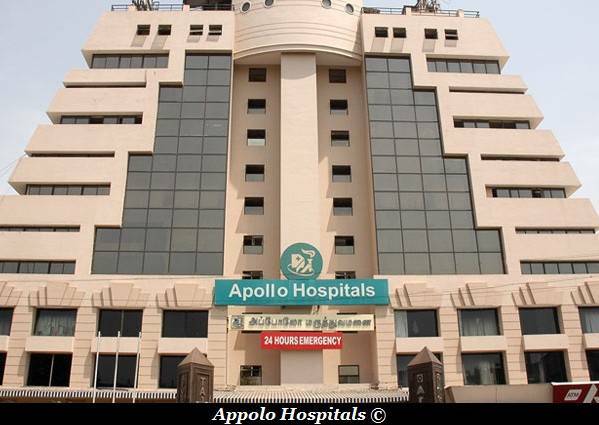 About Appolo Hospitals : Apollo Hospitals India is renowned for its medical tourism with people visiting us from far and wide. With over 8500 beds across 54 hospitals within and outside India and a significant presence at every touch-point of the medical value chain, the Apollo Hospitals Group is one of the largest healthcare groups in Asia. Commenced as a 150 bed hospital, today the group has grown exponentially both in India and overseas. Its growth is often said to be synonymous with India emerging as a major hub in global healthcare.